Run the exe, it will ask to unzip to a folder inside of c:\Autodesk, make a note of the folder for later use (we’ll refer to it from here as c:\Autodesk\AutoCAD2011), now click OK. Wait until all of the files have extracted, when they do, the AutoCAD LT 2011 setup will automatically launch – simply close it and move to the next step. Now, start the Longbow Converter tool, select the 1st tab, pick the c:\Autodesk\AutoCAD2011 folder, and click the Convert button. Windows 8, Windows 8.1 and Windows 10 users: Once the installation process is complete, go back to the Converter, select the 3rd tab, pick the newly installed C:\Program Files (x86)\AutoCAD LT 2011 folder, then click Fix. Now you can happily run your 32bit AutoCAD LT 2011 on Windows 7, Windows 8 and Windows 10! Simply run the exe, it will ask to unzip to a folder inside of c:\Autodesk, make a note of the folder for later use (we’ll refer to it from here as c:\Autodesk\ADT2016), now click OK. Wait until all of the files have extracted, when they do, the AutoCAD Architecture 2016 setup will automatically launch – simply close it and move to the next step. Now, start the Longbow Converter tool, select the 1st tab, pick the c:\Autodesk\ADT2016 folder, and click the Convert button. Now you can happily run your AutoCAD Architecture 2016 32bit on Windows 7, Windows 8, Windows 8.1 and Windows 10! 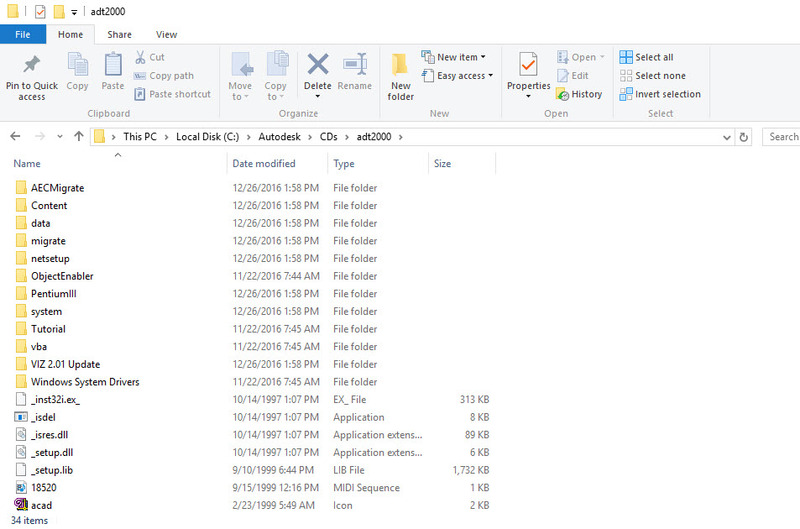 Run the exe, it will ask to unzip to a folder inside of c:\Autodesk, make a note of the folder for later use (we’ll refer to it from here as c:\Autodesk\adt2010), now click OK. Wait until all of the files have extracted, when they do, note that the ADT 2010 setup will automatically launch – make sure you close the setup and move to the next step. Now, start the Longbow Converter tool, select the 1st tab, pick the c:\Autodesk\adt2010 folder, and click the Convert button. Windows 8, Windows 8.1 and Windows 10 users: Once the installation process is complete, go back to the Converter, select the 3rd tab, pick the newly installed C:\Program Files (x86)\AutoCAD Architecture 2010 folder, then click ‘Fix’. Now you can happily run your AutoCAD Architecture 2010 32bit on Windows 7, Windows 8, Windows 8.1 and Windows 10 64bit! Run the exe, it will ask to unzip to a folder inside of c:\Autodesk, make a note of the folder for later use (we’ll refer to it from here as c:\Autodesk\Map3d2015), now click OK. Wait until all of the files have extracted, when they do, note that the Map 3D 2015 setup will automatically launch – make sure you close the setup and move to the next step. Now, start the Longbow Converter tool, select the 1st tab, pick the c:\Autodesk\Map3d2015 folder, and click the Convert button. Windows 8, Windows 8.1 and Windows 10 users: Once the installation process is complete, go back to the Converter, select the 3rd tab, pick the newly installed C:\Program Files (x86)\Autodesk\AutoCAD Map 3d 2015 folder, then click ‘Fix Old Program‘. Now you can happily run your Map 3D 2015 32bit on Windows 7, Windows 8 and Windows 10 64bit! Simply run the exe, it will ask to unzip to a folder inside of c:\Autodesk, make a note of the folder for later use (we’ll refer to it from here as c:\Autodesk\AutoCADLT2013), now click OK. Wait until all of the files have extracted, when they do, the AutoCAD LT 2013 setup will automatically launch – simply close it and move to the next step. Now you can happily run your AutoCAD LT 2013 32bit on Windows 7, Windows 8 and Windows 10! Simply run the exe, it will ask to unzip to a folder inside of c:\Autodesk, make a note of the folder for later use (we’ll refer to it from here as c:\Autodesk\AutoCADLT2012), now click OK. Wait until all of the files have extracted, when they do, the AutoCAD LT 2012 setup will automatically launch – simply close it and move to the next step. Next, using the ‘…‘ button select the newly created c:\Autodesk\AutoCADLT2012 folder, and click the ‘Convert‘ button. then click ‘Fix Old Program‘. Run the exe, it will ask to unzip to a folder inside of c:\Autodesk, make a note of the folder for later use (we’ll refer to it from here as c:\Autodesk\AutoCADM2008), now click OK. 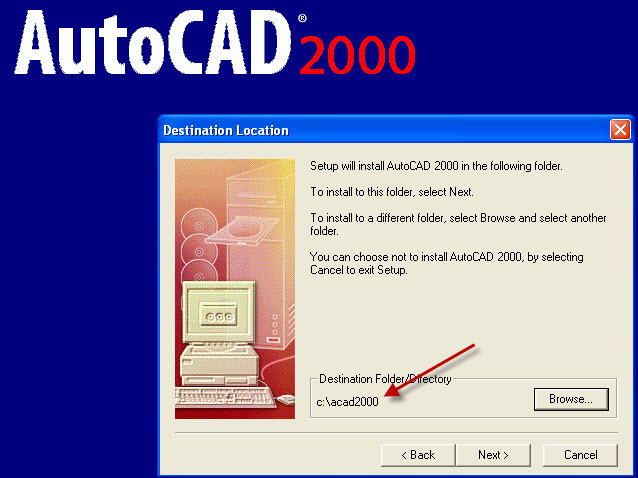 Wait until all of the files have extracted, when they do, the AutoCAD Mechanical 2008 setup will automatically launch – simply close it and move to the next step. Now, start the Longbow Converter tool, select the 1st tab, pick the c:\Autodesk\AutoCADM2008 folder, and click the Convert button. Now you can happily run your AutoCAD Mechanical 2008 32bit on Windows 7, Windows 8, Windows 8.1 and Windows 10! Run the exe, it will ask to unzip to a folder inside of c:\Autodesk, make a note of the folder for later use (we’ll refer to it from here as c:\Autodesk\Map3d2013), now click OK. Wait until all of the files have extracted, when they do, note that the Map 3D 2013 setup will automatically launch – make sure you close the setup and move to the next step. Now, start the Longbow Converter tool, select the 1st tab, pick the c:\Autodesk\Map3d2013 folder, and click the Convert button. Windows 8, Windows 8.1 and Windows 10 users: Once the installation process is complete, go back to the Converter, select the 3rd tab, pick the newly installed C:\Program Files (x86)\Autodesk\AutoCAD Map 3d 2013 folder, then click ‘Fix’. Now you can happily run your Map 3D 2013 32bit on Windows 7, Windows 8, Windows 8.1 or Windows 10 64bit. Run the exe, it will ask to unzip to a folder inside of c:\Autodesk, make a note of the folder for later use (we’ll refer to it from here as c:\Autodesk\Map3d2012), now click OK. Wait until all of the files have extracted, when they do, note that the Map 3D 2012 setup will automatically launch – make sure you close the setup and move to the next step. Now, start the Longbow Converter tool, select the 1st tab, pick the c:\Autodesk\Map3d2012 folder, and click the Convert button. Windows 8, Windows 8.1 and Windows 10 users: Once the installation process is complete, go back to the Converter, select the 3rd tab, pick the newly installed C:\Program Files (x86)\Autodesk\AutoCAD Map 3d 2012 folder, then click ‘Fix’. Now you can happily run your Map 3D 2012 32bit on Windows 7, Windows 8, Windows 8.1 and Windows 10 64bit.